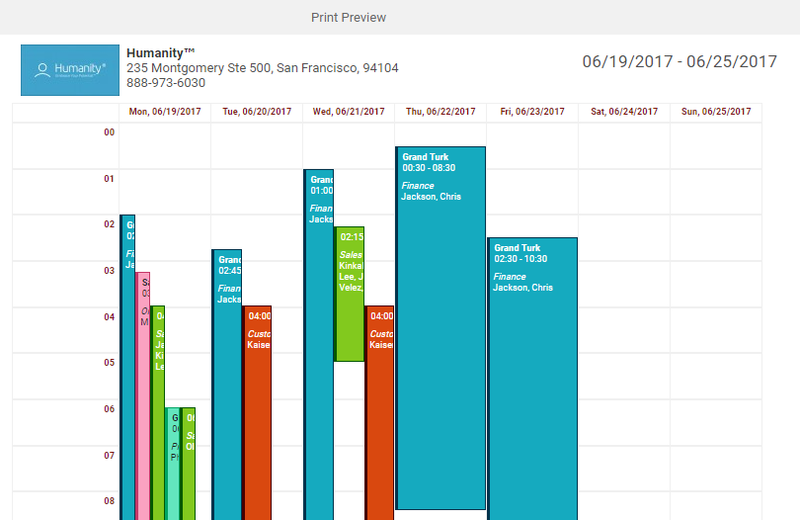 In Humanity, you can use the option to save or print schedules. 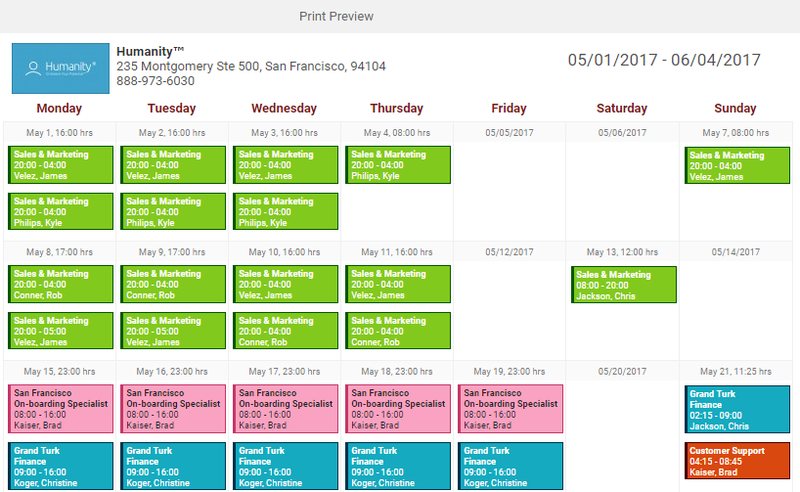 The print views try to mirror the actual schedule in style, format and the information displayed as much as possible. 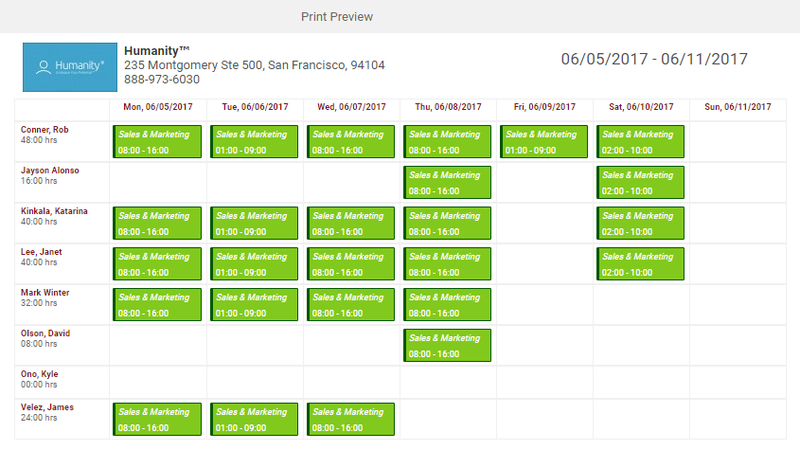 It will also respect the actual schedule filters upon printing. 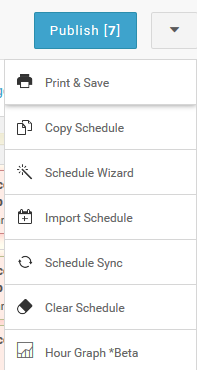 To get started Go to the tab ShiftPlanning. Navigate to your date and view of interest (day, week or month) then select your desired 'Position' from the list of 'Positions to the left if you want to print for certain locations/positions. To save or print click the 'Print & Save' link at the top right downward arrow icon. 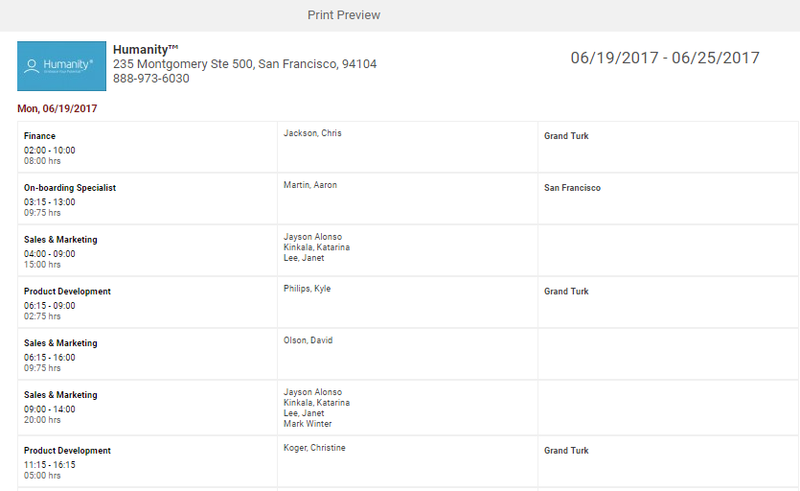 After you click the Print option, print overview page will appear with options on the top right. Change the views to Employee, Positions, Visual, and List as well as Icons to save it as PDF, CSV, XLSX or print directly. 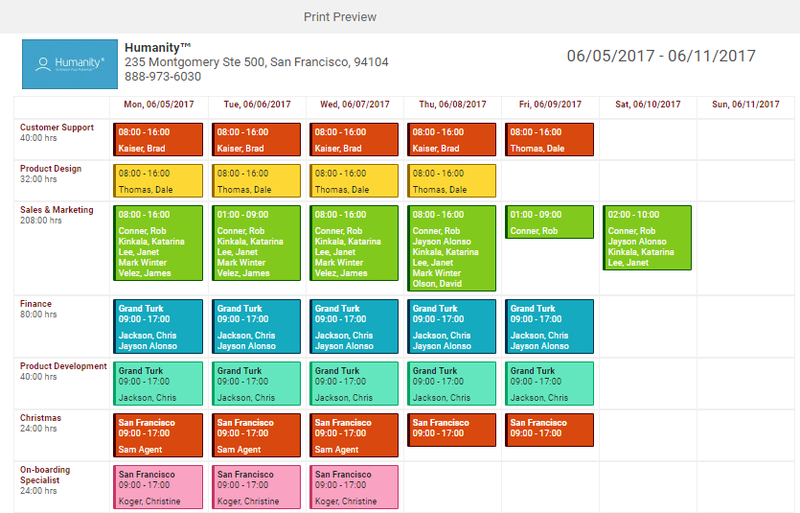 On the left side, you have the date range views to print the schedule in Day, Week or Month view. Also, a Print options panel is available on the left to adjust the settings before printing out. To save click the 'XLS' Excel icon or the 'PDF' format icon. To print select your desired settings from the 'Print Options' above. Once you are satisfied with the settings, click 'Update' then click the big green 'Print' icon. Now you can select your 'Destination' printer and other options to the left and to the right you will see the print preview. For full functionality, Adobe Reader is required. When you're ready, click 'Print'.